And yet I can't quite imagine you and L'Eau Neuve being friends. Do you consider any citrus fragrances your friends? Close friends? Borrowing outfits? Sleepovers? I bet you haven't had a citrus sleepover since the '90s. I own enough perfume to fill the swimming pool at Hearst Castle but only a small percentage are citruses. And the strange thing is, after an hour, L'Eau Neuve barely qualifies. The medicinal side gets the better of the lemon side and before long I smell like I'm wearing arthritis rub. Warm, rich, classy arthritis rub. Marion Davies arthritis rub. The sort of thing Mom might even like. You know me well. I haven't had a citrus sleepover since the '90s. Or does Clarins Eau Dynamisante even count as citrus? Diorella? Chanel Cristalle? Does being a chypre fancy up the joint so much that any lemons and oranges no longer register as citrus? Wait wait wait -- I've been wearing Penhaligon's Castile! All those orange fruit parts. And yet...it smells soapy, not citrus-y. Okay, here's another one for ya: Tom Ford Neroli Portofino, an uptown cologne. I wear that sometimes. But none of these are in the capsule wardrobe that accompanied me from Los Angeles to London. My travel companions are roses, irises and musks. Citrus seems less interesting to many who dedicate an abnormal amount of time to perfume. It's either too simple or too fleeting or maybe even too likable (you don't hear music aficionados praising David Cassidy either), I don't know. Why don't we embrace more citrus? If I ever get around to simplifying my life, I want a good, simple, inexpensive citrus cologne to be part of it! Fumies, can you recommend a good, simple, inexpensive citrus cologne for Dan? Florida water is gorgeous, and about five bucks for several ounces--- available in the "ethnic" section of your local grocery store or Target! It's gorgeous, gorgeous, gorgeous, and you can douse yourself to your hearts content, since it's so cheap. Did I mention how good it smells? Who even cares that it lasts, like, five minutes when it smells so good! bourbon french eau de cologne. Napoleon's favorite, and 15. smackers for 2 ounces. Or possibly Heeley's Oranges and Lemons Say the Bells of St. Clement's and Penhaligon's Eau de Cologne. But I don't know how much they cost. I love 4711. I would submit Hermès Eau D'Orange Verte, which has some of the mossy heft of Bigarade Concentrée. And also, while not inexpensive, Ormonde Jayne Zizan is a juicy, attractive citrus with terrific longevity. I can't think of any other distinctly citrus scent that stays entirely citrus for so long. Zizan is too "sneezy" for my liking. Even the name sounds like a sneeze! Dior Eau Fraîche, which is unfortunately discontinued. Isn't part of the problem with creating a long lasting citrus to do with molecular weight of the required ingredients? I've always assumed that you can't make it last that long in to the wearing which is why at some point the fragrance will become musky/woody or whateveresque, or that it will have to be fixed by other ingredients which have a smell of their own. Eau de guerlain does have that strong verbena element. I haven't yet tried the other two Guerlain colognes- of the Imperial and Coq varieties- but if I were looking for a citrus cologne those would be where I would start. Yes, you're right, and this is what makes citrus fragrances interesting. Especially with inexpensive formulas, much of the budget goes into the top-notes, but with citruses, the perfumer is almost required to create two perfumes and fuse them together. Too often a cheap musky/woody accord is slapped on, but occasionally we come across more creative formulas that start with citrus, move into richer territories and somehow stay coherent throughout. Eau do Guerlain is definitely one of those. This may sound like crazy talk, but Absolue Pour le Matin by Maison Francis Kurkdjian has a very light, creamy lemony scent that lasts.....well, I can apply it in the morning and still smell it the next morning! It's not inexpensive, but as good as it smells and as long as it lasts, I don't mind spending a little more. Not crazy at all (or we're both crazy). I had the same experience with Absolue Pour le Matin, and even the non-Absolue is pretty durable. Kurkdjian is very clever in extending the citrus or at least attaching something to it that gives the illusion of extension. Have you guys tried Orange Sanquien Atelier? for a brief fleeting moment I wanted to smell like a fresh peeled orange. It is amazing when it goes on but sadly didn't last. That first of peeling an orange was there but left but I like it for its fleeting moment. Oh yes, that explosively orangey orange! Miller Harris Tangerine verte is lovely and green though - as others have said - not long-lasting; I'd give it about half an hour. I think Tangerine Verte swerves into Eau d'Orange Verte territory, which is a territory I enjoy. My brother owns this one - and Orange Verte! He likes his green oranges, evidently. Though they are not the only fruits in his collection. This is your earthquake-expert brother? With the luxuriant eyebrows? I somehow didn't imagine him having cologne preferences. Yes, indeed, on all counts. Oranges and lemons are the bedfruit of his collection, but I gave him a Luckyscent voucher for his birthday, and after auditioning some samples he is poised to "branch out" with a purchase of CdG Sequoia, his first woody foray - or do I mean "foret"? O de Lancome is my standby citus, a little rind-y, a little herbal, a lot lemony, and LASTS. Especially if you spray a little on the sports bra -- this is my gym scent. I use 4711 to take quick "sponge" baths, which I think is what it was originally used for -- pour some on a washcloth. As a skin scent, on me anyway, it doesn't work too well -- by the time I get the cap back on the bottle, it's gone! But these "baths" are really refreshing, especially in summer. Good call on the O. Does Dan need to wear a sports bra for it to work? Um, no, he could put it on his, uh, athletic supporter. GFT by TRUMPERS is dirt cheap. Also, the Comme Des Garcons series 4 colognes: ANBAR - CITRICO - VETTIVERU, very good value for 500ml splash bottles. A very lovely citrus cheapie is Monsieur Balmain, which is mostly lemon with some resinous bits. I also like Eau Dynamisante. And that new Parfums d'Empire is nice -- Azemour. Since Bigarade Concentree is being bantered around (fabulous, of course), a less expensive but just as stunning version is JCE's other iteration of the theme of citrus plus a hint of cumin, Cartier Declaration (although I think this veers into the sharp oriental woody category). Anick Goutal's Mandragore has a lovely citrus note that persists amoung the spices. Brand new, and with a bergamot note that defies molecular weight rules and last nearly the duration of the composition, is Lab on Fire's Anonyme, which is my new fav. A dry citrus, geranium on a sheer woody/amber base, it's lovely and perfect for spring into summer wear. It's refined and sophisticated and original. Thierry Mugler's Cologne (of the bright green juice)is also just weird enough for me to classify as beautiful. Not a particularly memorable citrus, but worth mentioning among the great colognes. Thanks for all the great recommendations. It's ironic how simplifying my life now requires loads of new fragrances to try. And I'm excited about it. When it comes to simplification, I don't trust myself for a second. Good, simple and inexpensive is L'Occitane Citrus Verbena....makes you salivate...so lemony. Related to that, I recently picked up some L'Occitane Sun Verbena (Verveine Soleil for us hoity-toity Canadians;) on a 50% off, and it's what came to mind when you asked for a straightforward citrus. Bois d'Orange by Roger & Gallet. It's so inexpensive and does everything a citrus should do. I like the idea of a citrus with a "to do" list! O de Lancome is a great rec, and not very expensive. 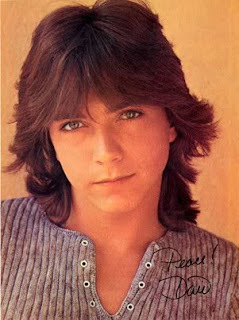 PS That pic of David Cassidy took me back! Eerily similar to a centrefold from Mirabelle I lovingly preserved till well into my twenties, along with an Athena one of Pete Duel, whom I have mourned since his untimely death when I was 11. 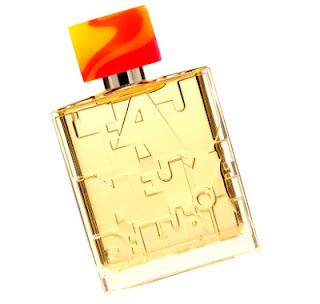 Libertine by Vivienne Westwood has to be my favourite citrus by far...it isn't super citrus-y though. I think I liked the fact that it didn't smell like go-jo hand cleaner--it was musky and while sweet, it was never gourmand like more recent fragrances. Eau de Cologne Impériale you could go a bit old school. I think it comes across as modern. Plus its cheap as chips! I kinda like EdCI, but it reminds me more of lime than lemon, and the longevity is rather dismal. With reference to the 'Diorella as chypre' point made by Katie, is Diorella still a chypre? Does the recent reformulation oust it out nearer to edge of that category to a degree (if it still exist? ), and if so, is it towards that of a citrus, or has that element not also been blunted? I have only smelt once recently, and fleetingly, and not past the top notes. I did however get that it was lacking the weight of chypre, compared to previous versions, which makes me think it might now be better thought of as something else...... So maybe worth a try too. Signoricci by Nina Ricci. It's discontinued as far as I know, but still available and very reasonable. I get a very refreshing mandarin over cedar and musk with the citrus running for hours on me. It was my first ever purchase way way back (early 70's) and the juice has been reformulated, but it is still recognizable. The bottle and name changed, for the worse in my opinion, the original had heft, but this is still a very good perfume, and all for around 20 euros. A fumehead like Dan should know that long lasting citruses don't exist - especially now that IFRA has banned them (and their friend oakmoss). But he's already found the right replacement. Serendipitously, I bought Eau Neuve last week (sadly with a boring wood cap, not the fun orange wave of the picture), and it's love. It went straight into the atomizer for the gym. Btw, Katie, now that you are british, you should check again Ormonde Jayne Tiare, the more citric daughter of Cristalle, of which you spoke in the past, I believe, and which is becoming another love of mine (and almost certainly a future web purchase). Oh yes, I am familiar with Tiare. Haven't had a chance to give it a prolonged test drive as of yet. Btw I rooted into my collection & pulled out Monsieur Lanvin...which belonged to my father since the '70s, but wound up in my collection. I think it's citrus-centric,but it's the smell of a thousand grandfathers in a bottle,if you asked me! That's a heapin' helpin' of grandpas! I think you know how we feel about referencing the elderly with regard to fragrances! I call 'em as I smell 'em! I like Ineke´s Chemical Bonding..
What about Parfum d'Empire's Yuzu Fou - a strong and long lasting(!) citrus fragrance ( a mix of Japanese yuzu,kumquat, sweet orange)? Eau du Sud d'Annick Goutal has great staying power, and so does Jo Malone's Lime Basil and Mandarin. I love citruses! Oh gosh, I adore both of those! Bois 1920 Sushi Imperiale or Sandolo e The! I was surprised no one had mentioned Diptyques colognes, L'Eau de Tarocco is a sublime mix of oranges and saffron. It is also available in a very affordable roll-on. For more robust and even slightly masculine citruses, I would try Parfum d'Empire. Oh yeahhhhhh, L'Eau de Tarocco. Nice call. Tauer's COLOGNE DU MAGHREB is a nice citrus, very cheap. I too have been looking for a citrus that didn't smell like Lemon Pledge (I'm looking at you, Monsiuer Balmain) and had a bit more going on than simple oranges and sunlight ... and found it in Voyage d'Hermes, which starts out with a bracing, tingly grapefruit note and dries down into something vaguely musky and altogether delightful and - dare i say? - classy. And that bottle is pretty freakin' cool as well. Cologne Sologne from Parfums de Nicolai. Eau de Rochas Homme! Lemons and myrrrrrrrh. Come on DAN, Splash Out $$$ - Cartier VI L'Heure Brilliante. Dan - what the HELL? Don't you even READ what I post here? Why don't you own Monsieur Balmain??? It's 100 percent LEMON fer chrissakes!! Nothing BUT, son! I despair. I toil in obscurity and will pass out of this world a pauper with only a stick to mark when I have trod. A stick...and a bottle of Monsieur Balmain. great - my legacy: a smelly lemon stick. Oh, THE HUMANITY! What about Escada Taj Sunset? Its pretty cheap but the mango/orange last for most of the day on me. I tend to use it when I know I am going to be outside in the FL heat. Why does smelling like fruit make me feel cooler? Katie, I assume year plus was enough, what were Dan's final picks in this category?